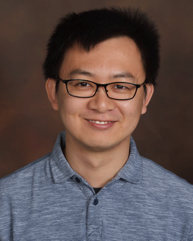 I am Wei Zhang, an assistant professor at the Department of Computer Science and a core member for the Genomics and Bioinformatics Cluster at University of Central Florida. My primary research interest is computational biology, an interdisciplinary research area where computational, mathematical and statistical methods are applied to solve biology problems. My research covers several important topics in cancer transcriptome, spanning from technique-driven research that aims at developing graph-based learning algorithms for cancer transcriptome analysis with prior knowledge, to hypothesis-driven investigation of specific biological problems. I received my Ph.D and M.S. from the Computer Science and Engineering Department at University of Minnesota-Twin Cities. My advisor are Dr. Rui Kuang and Dr. Baolin Wu. I did my Bachelor thesis in Computer Science from Winona State University under Dr. Mingrui Zhang's supervision. Before joining UCF in 2017, I was a research associate at University of Minnesota for two years. CSCI 8980 (Fall 2015): Next Generation Computing and Analytics for Cancer Genomics. CSCI 5461 (Spring 2013 and Spring 2011): Functional Genomics, Systems Biology and Bioinformatics. CSCI 8980 (Fall 2012): Emerging Bioinformatics Models for NGS and Biological Network Analysis. CSCI 5481 (Fall 2011): Computational Techniques in Genomics.